It seems like there is a new language every week. Looks interesting. We'll see if it gets any traction. Cool! Thanks so much. I will really enjoy this! 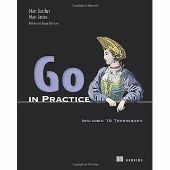 Go compiles to native. It's fast. In most of the benchmarks, performance and memory usage is better than Java. It's write once, run anywhere, but not compile once, run anywhere. You still have to compile for the target platform, since the compiler generates native code. The compiler itself is reasonably fast too. Not as good as Java, but then that's to be expected since the Java compiler generates byte codes rather than native. code, but in the end it's easier to reason about your application in regards to error handling. Sublime + GoSublime plugin is really nice, IMO. It can, but its "experimental"
Be warned that you better have a heavy duty machine if you're going to use it for large C++ projects. It is reeealllly sluggish. There are tons of people complaining about it. Just Google. Personally, I found it unusable with my 2.3Ghz dual core. You can turn off the real time error parsing which seems to help a little, but even then it's pretty bad. A mind shift I do agree on. I hope to explore this more in the coming months. Thanks for your insights. Thanks for the response. I'm not buying the one shoe fits all horses mentality. There must be some type of projects in particular that would be best suited for Clojure. I get that you can have OO concepts in Clojure, but it sounds like the idea is to solve problems in a different way using all functional programming? I just can't imagine modeling the world in software without OO concepts. What type of project would make one consider choosing Clojure over any other OO/Functional programming hybrid? In my experience any project can benefit from using both programming paradigms, which plenty of languages have nowadays. Is there any type of project that is best suited for an implementation solely in Clojure? Wow! Very cool! Thanks guys! I have been waiting for a statement from Oracle about the future of JavaFx. I personally do not want to invest time and money into a technology that will not advance or even be dropped. Unless there is a clear way to make money from it, I don't see why they will invest money. Does anyone know what Oracle says about their commitment to JavaFx? IMO, no matter how expressive and useful a programming language is, for it to really take off, there have to be good tools to support it. I don't think anybody in their right mind would want to go from the Eclipse/Java ( Netbeans/Java ), or MS Visual Studio/C# world which have great tools to poor or mediocre tooling. But it's like this with any estimate. You just have to give the best estimate you can. Your manager will understand if you are a little late, as long as you don't have consistently short estimates and are always late. Most of the time you will do a little of the work to get a good estimate. If I were tackling this problem, I would first try to get a very high level understanding of the code; not even go through each class, just get a basic understanding of what the program or API does. Then I would take one of the classes and actually do the work. Don't take the hardest one or the easiest, but somewhere in between. You should be able to get a feel for how long it will take to do all of them based on commenting the one class. Are there unit tests? This can be very valuable in determining how a class was meant to be used. Also, I assume the person that wrote the code is no longer there? I'm probably pointing out the obvious, but that person would be the best resource and could affect your estimate. I understand there are security concerns with accessing the system clipboard from an unsigned applet. However, a user can do hot keys, CTRL-X, CTRL-C, CTRL-V to access the system clipboard from an unsigned applet. So why can't I hook up a DefaultEditor.CopyAction to a popup menu on a text field and make that work. Whether the user is invoking a right mouse click "Copy" or doing CTRL-C, it's the same action ( or it should be ). So what's up with the mouse click copy? That only copies to the local clipboard. CTRL-C copies to the system clipboard. What am I missing?